New City Collegian is happy to announce it will start posting a regular crime blotter of the past week’s heinous (and occasionally comical) incidents reported to SCCC Public Safety and Security. 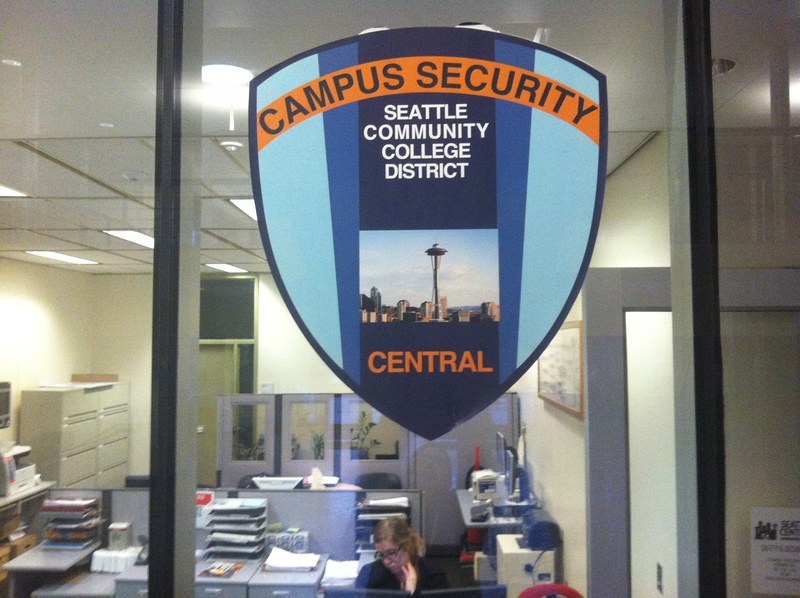 Any questions regarding specific incidents can be forwarded to the Director of Campus Security and Safety; Elman McClain at elman.mcclain@seattlecolleges.edu. Just before 7:00 AM a Campus Public Safety Officer encountered a Black Ford Ranger on the second level of the SCCC parking garage with a broken passenger side window and a opened glove box. After leaving a business card, the car owner later contacted Public Safety saying that his backpack containing valuable possessions (particularly his prescription medications) had been stolen. Public Safety advised that the individual go to SPD. At around 11:00 AM Campus Public Safety responded to a verbal argument between two males that escalated into a scrappy brawl. The conflict between the student and the unknown individual started in the Atrium, where, for unknown reasons, they began yelling at one another. The conversation moved into the entryway of the Harvard Avenue entrance where a few punches were thrown before the non-student took off onto Harvard. At 3:25 PM a student reported that her bike had been stolen between 10:00 AM and 3:00 PM of that day from the North Plaza bike rack. The bike, (a 1997 mustard & black Cannondale road bike valued at $600.00), had been secured by a cable bike lock which was cut and in pieces at the scene of the crime. There are no suspects nor camera footage of the incident. At 3:00 PM a student returned to her car which she had parked at 2:00 PM and noticed that the vehicle had been tampered with after she drove off and back to campus, specifically when she put the king in the ignition. Shortly after she contacted campus security to note the irregularity. A female student was playing piano in practice rom 103 in the Broadway Performance Hall (BPH) at 9:05 AM when a unknown male entered the room with a lit cigarette and tried to initiate conversation with the student. The student repeatedly stated that there was no smoking in the room and asked that the man leave numerous times. With reluctance, the individual left. The student immediately contacted Campus Public Safety but had to do so in person seeing as she couldn’t get cell reception in the basement of BPH. There are no suspects or witnesses.